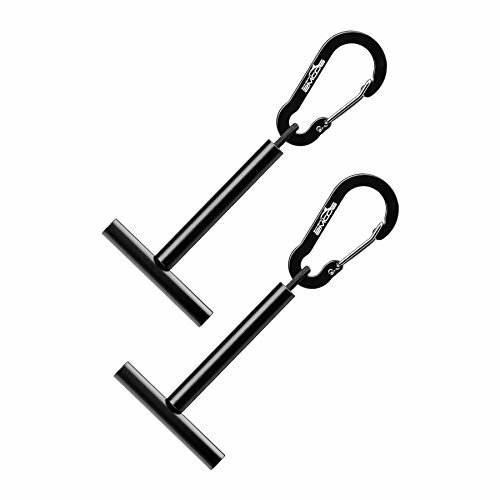 SF New Strong and durable carabiner quick release magnetic clip. 1. Strongest powerful magnetic strength and agnets made of Aviation aluminum. 2. 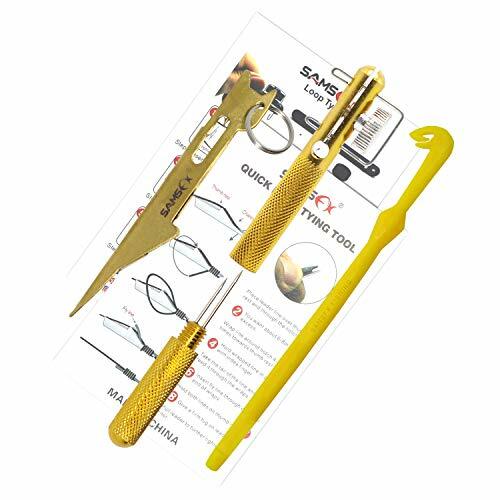 Multi functional uses more than a net release .Use it with pliers, nippers & other tools. 3. New Heavy Duty Stretchable spring-cord.Made of steel wires covered with PVC which can be recovered 95% as it is. 4. Length 45 cm(17inch) and extends to a maximum length of 2.5m(100 inch). 5. Never lose your net or other gear in water. New Heavy Duty Stretchable spring-cord. Made of steel wires covered with PVC which can be recovered 95% as it is, .Length 45 cm(17inch) and extends to a maximum length of 2.5m(100 inch). Never lose your net or other gear in water. BOOMS FISHING FOCUS ON FISHING TOOLS AND TERMINAL TACKLE We insist on make fishing easy. Using A Fly Fishing Nipper Can Improve Your Fishing Experience Nippers are one of the most utilized tools in fly fishing and it can protect your teeth. They can come in handy when you want to change a hook or cut excess leader or tippet after tying a knot. 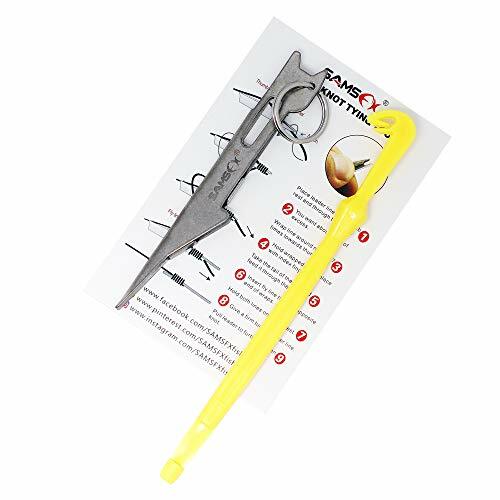 Come With A Built in Nail Knot Tool and Hook Clearing Needle Knot-tying implement for rapid line tying, hook clearing needle removes pesky head cement from flies. Small and Lightweight, Connect With the Fly Fishing Zinger You can attach them to your fly fishing vest or belt loop, convenient and quick to hang. Retractable 34"/ 86cm polyester cord for a smooth, quiet extension, easy to retract. 1.5 oz/ 45g retraction force. It can automatically retract after the string pulled out from the reel when you let go of line nippers, don't worry about losing. Tips: Please allow 0.4-0.8 " (1-2 cm) differences due to manual measurement, thank you. In future use, the blade can be repeated polishing and sharpened. Why Use Fly Fishing Zinger? 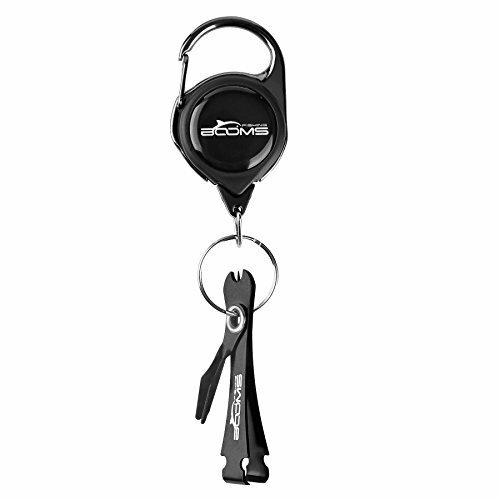 Booms Fishing range of fly fishing tools is designed to make an anglers life easier when out on the water. Providing anglers with long-cord zingers, sharp line clipper and tippet spool holder, and other fly fishing tools to fill your fishing vest. 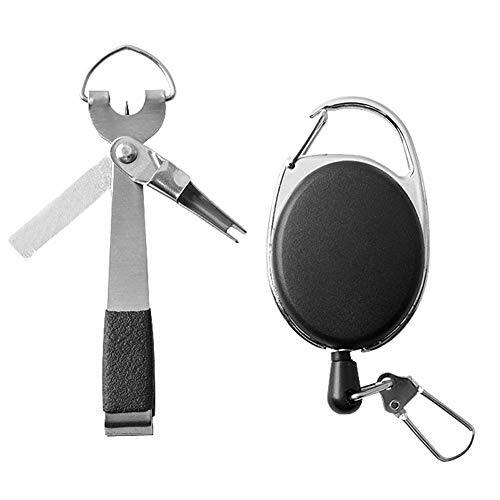 Can access some small tools quickly when you are fishing, no worries about stuffing something back in your pocket or bag. Every fly fisher in the world needed just such a zinger to keep their small tools close at hand, without risk of losing them in the water. 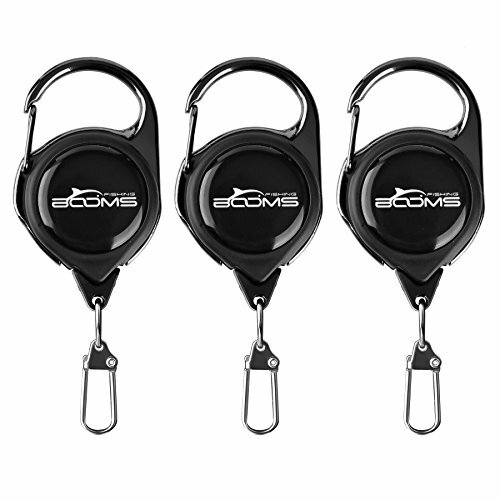 The Unique Design Make Fishing Easy Booms Fishing all zinger styles are made of uniform black case, smooth and stylish epoxy logo,copper split ring. In order to meet your need, we will send you a stainless steel split ring free of charge. 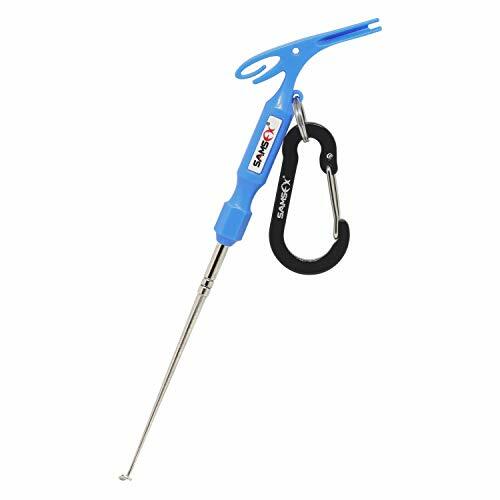 Retractable and durable polyester fiber cord and 1.5-2 oz(45-56g) retraction force that is long enough to ensure grabbing the right tool isn't a trial, it can automatically retract when let go. Tips: Pay attention to the weight of your small tools, don't exceed the range to keep the chain with good retractable. Please allow 0.4-0.8in (1-2 cm) differences due to manual measurement, thank you. Suitable for a variety of DIY bait,Looks life-like, which help to catch fish's attention. 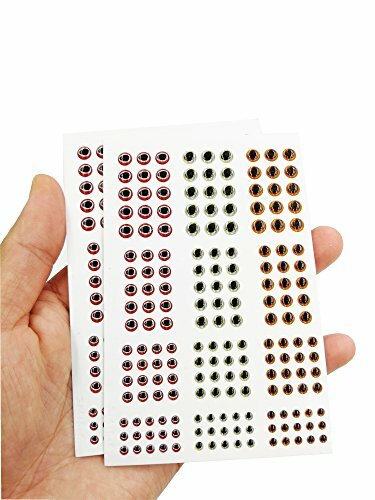 Quantity: 2 Sheets Total of 348 Eyes. 3D design.Made of epoxy material, which is durable and lightweight. Suitable for a variety of DIY bait,Adhesive,which can be stick on lures, jigs or crafts. While it may not guarantee a catch, one thing that a day on the River can promise is that you will be tying more than your fair share of knots. The reality is that the more time you spend with your line out of the water, the less time you spend catching fish the line driver aims to Streamline the process as an all-in-one fishing line tool. 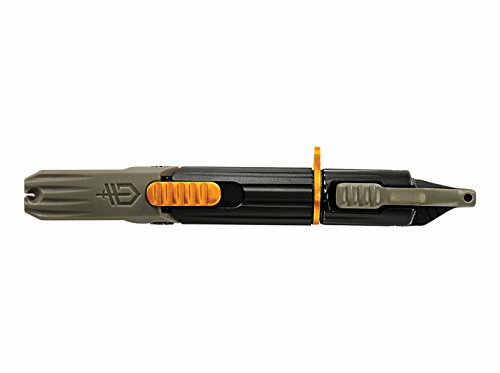 The compact, dual-ended tool has six essential line management functions everything needed to simplify tying knots and handling tricky line. Each function serves a specific Purpose, Offering an intuitive solution for each step of the familiar process. The rotating end of the line driver is designed to assist in tying knots and clearing eyelets. The spinning hook vise securely clamps onto a hook or lure, cleanly spinning the line as you tie the knot and keeping fingers out of the way as you cinch it tight. An eyelet clearing spike cleans out debris and old line, making it that much easier to thread new line. The rotating tether point allows freedom of movement when using the tool, yet keeps it secure and out of the drink. The opposite end of the tool does the heavy lifting of line management with functions that cut, crimp, and thread finicky line. The dual serrated Scissor snips are an innovative take on a common function: when unlocked it operates as full range scissors that can handle thicker line; when locked the scissors bias slightly open for Quick pull-through cuts when Clipped on pocket. A split shot Crimper is housed at the tip of the Scissor snips for added utility. The hook THREADER easily Funnel line through the eyelet for Quick exchanges that save time and Sanity. Designed specifically to manage line, the line driver has every tool you need for Quick and accurate work. Gerber tools are built to last a lifetime. To ensure optimal performance, rinse your tool with fresh water and dry thoroughly with a clean towel. Apply oil to hinges and moving parts on a regular basis. The compact, dual-ended tool has six essential line management functions - everything needed to simplify tying knots and handling tricky line. The spinning hook vise securely clamps onto a hook or lure, cleanly spinning the line as you tie the knot and keeping fingers out of the way as you cinch it tight. An eyelet clearing spike cleans out debris and old line, making it easier to thread new line. The rotating tether point allows freedom of movement when using the tool, yet keeps it secure. Innovative dual serrated scissor snips: when unlocked operates as full range scissors; when locked, the scissors bias slightly open for quick pull-through cuts when clipped on pocket. A split shot crimper is housed at the tip of the scissor snips for added utility. The hook threaded easily funnels line through the eyelet for quick exchanges that save time and sanity. BOOMS FISHING FOCUS ON FISHING TOOLS AND TERMINAL TACKLE We insist on making fishing easy. Less time digging, more time fishing. Your tippet spools may sloppily take up room in a vest pocket or sling pack and choosing one would involve trial and error. With our simple yet convenient gadget, you can have up to 5 spools tippet organized on the bar fixed to any D-ring or zippers on your vest, chest pack, waders, tackle box, gear bag, etc. Easy access for quick tying. You can just grab your tippet, pull it, and the spool will spin and you can just pull your tippet right off without having to use two hands and that is the beauty of tippet holder. Details Made of black anodized aluminum with bungee cord. 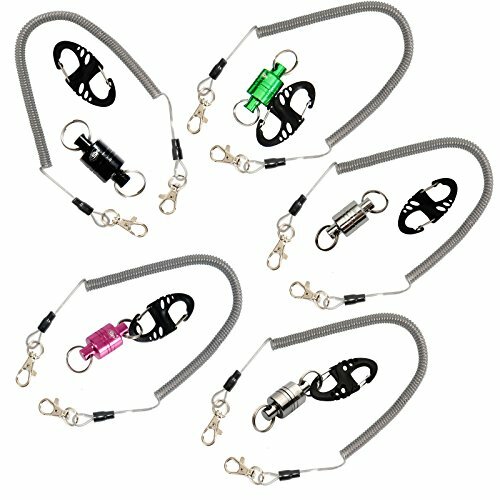 Easy on/off carabiner for attaching to any D-ring or zippers on your vest, chest pack, waders, tackle box, gear bag, etc. Holds up to 5 tippet spools, fit most standard tippet spools. The vertical bar is 2" long, the horizontal bar is 1.5"long, both diameters in 0.25". How to use Grab the horizontal bar and pull the bungee cord out and turn the bar to vertical with the top end against the perpendicular bar's end , then just slide right over stack your tippet spools on the bar like threading a needle. Finally let go of the bottom bar and clip the holder anywhere you want to hold your tippet. Or you can just take off the clip and stack spools on the bar, ha-ha. Keeps your tippets in order, much better than digging into your pack and potentially dropping it in the stream. Makes up to 5 tippet spools easily accessible on the outside of your fly fishing vest, or hanging from your lanyard. Easy access for quick tying. Made of black anodized aluminum with bungee cord. 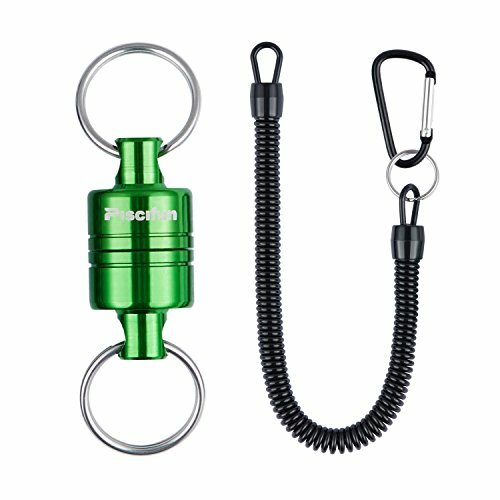 Easy on/off carabiner for attaching to any D-ring or zippers on your vest, chest pack, waders, tackle box, gear bag, etc. Ultra-strong Magnets - 2 super-strong magnets that close tightly, ensure your net stays safe & secure, even when you re wading through brush & thickets. Ultra-strong Magnets - Up to 7.7lb magnetic power. 2 super-strong magnets that close tightly, ensure your net stays safe & secure, even when you're wading through brush & thickets. A Retractable Coil - A bungee coil that keeps your net attached & expands up to 59''. It easily catch your fish and never worry to lose your net or other fishing gear. Warranty - 100% Satisfaction Guaranteed, you have no worry to try Piscifun magnetic net release. More times than not, the Adventure angler will find themselves Fighting current in a River, bobbing in a kayak, or clinging off the side of a boat. Tasks are rarely done on solid ground or with two free hands out of this reality, the free hander was born. The inspiration was simple: give the angler a hand when cutting and securing line on-the-go. 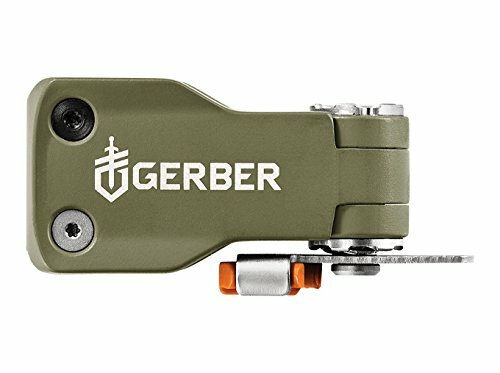 Gerber took the familiar design of the line Nipper and elevated it Honing in on the problem areas that anglers face. The free hander is not only a Nipper, but a tool that can manage line or lure exchange in real time. The genius of the design centers around supervise tech, a pivoting retention clip that cinches line during lure exchange. No more flailing line or lures lost to the drink, just an easy to operate line vise that acts as an additional hand. A tether point is built into the pivoting line Cutter that allows the angler to swivel the tool in any direction to get into tight spots with minimal strain. Inclement weather isn t anything new for anglers, freezing temps and wet conditions can be par for the course. What isn t the norm is an upgrade that the free hander boasts: a wide Paddle design for maximum contact between the angler and the tool. The result is thoughtful Surfacing that plays to the need for control when working with small lures, thin line, and unpredictable conditions. Gerber tools are built to last a lifetime. To ensure optimal performance, rinse your tool with fresh water and dry thoroughly with a clean towel. Apply oil to hinges and moving parts on a regular basis. 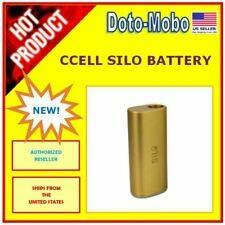 The Silo by CCell is a tiny, ultra-portable but powerful concentrate battery that delivers a hard to beat experience! The Silo is incredibly easy to use with no buttons or adjustments to make, just attach almost any 510 threaded cartridge to the included magnetic adapter, insert and go! An LED will illuminate while the heater is activated, and you only need to inhale for 2-4 seconds at a time to produce a surprisingly large and super smooth draw. 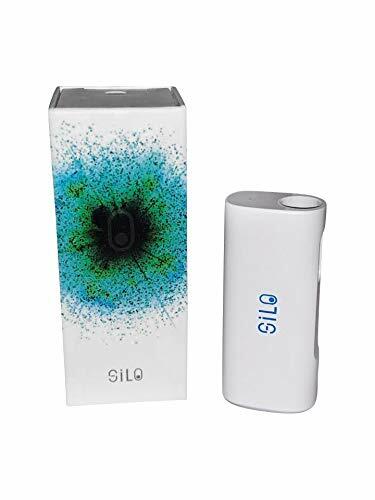 The Silo is incredibly small and portable, just look at the size compared to a standard Bic Lighter! A full cartridge and battery can last for many, many draws - up to a week of use or more for many uses! 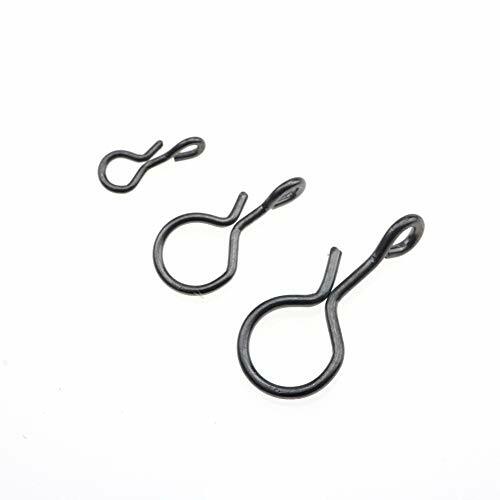 -- --Great for clear hook eyes, trimming line, honing hooks and nail knot tying tool. -- --In future use, the blades can be repeated polishing and sharpened. Great for clear hook eyes, trimming line, honing hooks and nail knot tying tool. Fishing fly / Hook / Lure Quick change connect snap. Be sure you land the next big catch with SAMSFX easy knot tying tool! 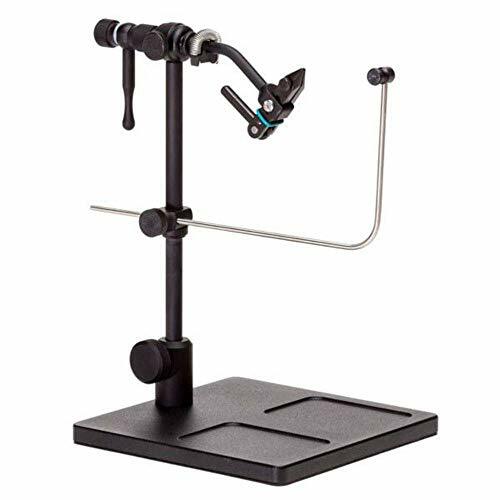 Upgraded base The Renzetti Traveler 2304 Cam Vise is a true rotary vise built to last a lifetime of fly tying. The jaws securely hold flies from size #28 to size 4/0. All of the aluminum parts are anodized for durability. The 2304 features a few upgrades. One being the larger base (6 6 as compared to the 2300 which is 5 5). The larger base adds more stability and stem support. The new material clip is the other nice little upgrade.